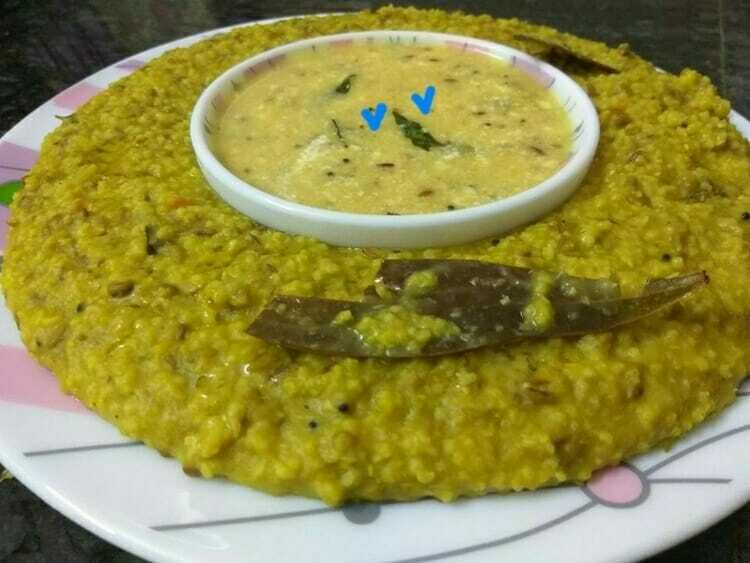 Khichdi is a simple wholesome food prepared in most parts of India. Rice and dal are the main ingredients and I replaced rice with millet. It is an OPOS dish. Soak the dal for an hour. In a cooker add ghee. Add bay leaf, cloves, jeera, ginger, asafoetida and curry leaves. 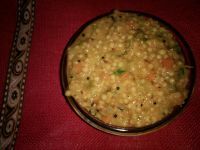 Wash the millets and add them along with dal. Add turmeric and chilli powders. Add 3 1/2 cups of water and salt. Cook for 4 whistles and serve it with ghee and kadi. Jowar Khichdi is the best low calorie dish which keeps us full for a long time. Adding veggies makes it more nutritious. Happy to know that your family liked it. Thanks for sharing your expeerience.